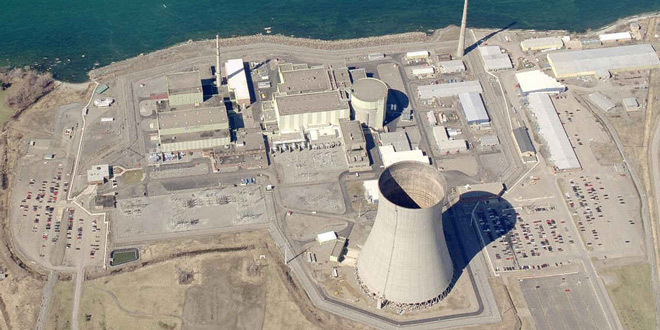 The New York Public Service Commission last week extended the comment period on a proposed multibillion-dollar nuclear power subsidy by four days, until Friday (15-E-0302). The comment period on a July 8 staff proposal, providing subsidies for the upstate nuclear fleet for up to 12 years, was to have ended on Monday. Environmental groups, industrial customers and anti-nuclear activists had sought a 45-day comment period. “These extensions are granted for the fair, orderly and efficient conduct of these proceedings,” the PSC said Friday. Political and labor leaders and economic development proponents in the Finger Lakes region have embraced the proposed zero-emission credit for financially stressed nuclear power plants. It is part of the proposed Clean Energy Standard, which seeks to transition the state to 50% renewable energy by 2030. But the ZEC proposal has been opposed by some environmental organizations. “Staff’s earlier cost estimates for the nuclear tier ranged from $59 million to $658 million over the first seven years. Now, under the new proposal, staff estimates the first two years will cost nearly $1 billion. Over the life of the program, it could amount to over $7 billion,” the Alliance for a Green Economy wrote in its petition seeking an extension last week. The company said it needs a signed contract guaranteeing the continued operation of Nine Mile Point by Sept. 30 to prevent the plant’s retirement. The company also started a separate proceeding to obtain subsidies through a cost-based regulatory order in the event the CES did not get approved in time. That proceeding is pending. Five New York City-area legislators wrote to the Public Service Commission questioning the ratepayer-funded nuclear power plant subsidy.